Riding a motorcycle is a thrill most people would love to experience. Unfortunately, the safety risks associated with motorcycles and their lack of a protective outer shell discourages many from doing so. According to the Insurance Institute for Highway Safety, motorcyclists are 30 times more likely to die in a crash as opposed to people in a car. 1. Don’t buy a bike you can’t handle- Today’s bikes may surprise you with their power and performance. Make sure you buy a motorcycle that fits you and not the Augusta in which you have trouble reaching the handlebars. 2. Hone your skills- Find a Motorcycle Safety Foundation riding course in your area and learn advanced techniques as well as evasive emergency maneuvers. 3. Use your head- Some riders despise wearing helmets and would prefer to feel the wind blow through their hair. However it is not a risk worth taking, and the facts back it up. Riders without a helmet are 40 percent more likely to suffer a fatal head injury and three times as likely to suffer brain injuries in a crash. 4. Avoid bad weather- Rain cuts your visibility and reduces your tires’ grip on the road. In poor weather conditions, be gentle with the breaks and controls, and avoid making sudden maneuvers. 5. Be defensive- A recent study conducted by South Florida’s Center for Urban Transportation showed that in collisions involving cars and motorcycles, car drivers were at fault 60 percent of the time. Be extra alert, maintain a safe following distance, and keep an eye out for those reckless drivers. If you are planning on getting a bike or have recently purchased one, you will need to look into getting motorcycle insurance. All motorcycles on the road are required to have motorcycle insurance. It protects the motorcycle and its owner in the event of an accident or loss. If you are someone interested in purchasing a motorcycle in Ohio, please call Tom Chalasinski at 440-838-5383. 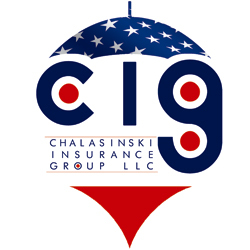 Tom is the president of Chalasinski Insurance Group and he more than willing to help you with any information regarding motorcycle insurance, or even insurance coverage in general. The thrill of the ride awaits you. Enjoy yourself but be safe at the same time. Contact us about motorcycle insurance insurance today!